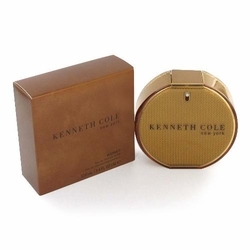 Kenneth Cole Perfume by Kenneth Cole . . .
Kenneth cole's first fragrance for women goes urban oriental, with exotic top notes of zesty mandarin, spicy white cardamom and cinnamon bark . Hints of red mahogany, jasmine and leather add to the scents interplay of wood and floral.